This post was originally published on ActiveRain by Sheila Cox, a real estate agent in Sugar Land, Texas. Consumers don’t really need us to find a house to buy anymore. Thanks to the Big 4, homes are listed all over the Internet. But what we as real estate agents still have to offer the consumer in a real estate transaction is local market knowledge and expertise. It is one of our few remaining competitive advantages. I agree that just living in a neighborhood doesn’t make you an expert. And sure, there is plenty of data available on the Internet, but a lot of it is unreliable. However, it takes someone like a local real estate expert to know that some of the data on the Internet is incorrect and not to be trusted. You can’t know a “fact” is wrong unless you are expert enough to know the facts! And I know for a fact that you can’t trust the stats reported on Redfin, NeighborhoodScout, City-Data (eek! ), Trulia, Zillow, etc., about my area! I’ll show you — read the details here. And while just living in a neighborhood (or town, or suburb, or city) does not make you an expert, pricing and selling a lot of houses in an area, and finding answers to all the hundreds of questions that pop up during the process, is a sure-fire way to become the local expert. No one knows a local area better than an experienced real estate agent. Paying the right price on a home is critical, as Hank pointed out, but I live in a nondisclose state. So the only reliable pricing information is on the MLS, which you have to be a member of to access. Not only that, home sellers and buyers don’t know how to properly price a home even if the did have all the data — Hank should know that as an appraiser. Heck, many longtime agents don’t know how to price homes correctly! Even though, as Hank pointed out, there is a lot of data on the Internet, homebuyers don’t want to spend hours and hours trying to find it, read it, analyze it and understand it. They will do all that research if they have to, but they would rather we do it for them. They want to hire an agent they can trust who already knows all that information as a neighborhood expert. Plus, there are some things a local expert just knows from experience — information that is not based on hard data and is not available on the Internet. For example, a local expert would know why a particular neighborhood has a seriously high distressed rate — because its location is difficult to access during evening drive times, and it takes 30 minutes to get into the neighborhood from the interstate, so no one wants to live there. Or the expert would know why some neighborhoods may not be good investments — because of declining school performance, home values and popularity. 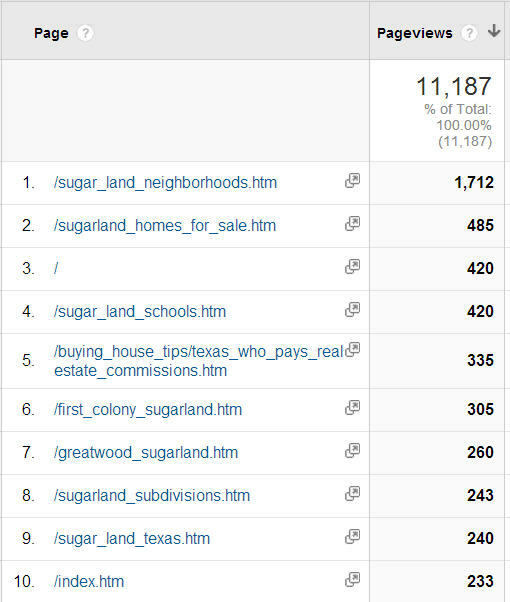 If you do a keyword analysis to understand the type of information consumers are searching on the Internet as it relates to real estate, “neighborhoods” is almost always one of the top five most frequently searched terms, right after “homes for sale” and “real estate.” As we ActiveRain members know, consumers crave neighborhood expertise! 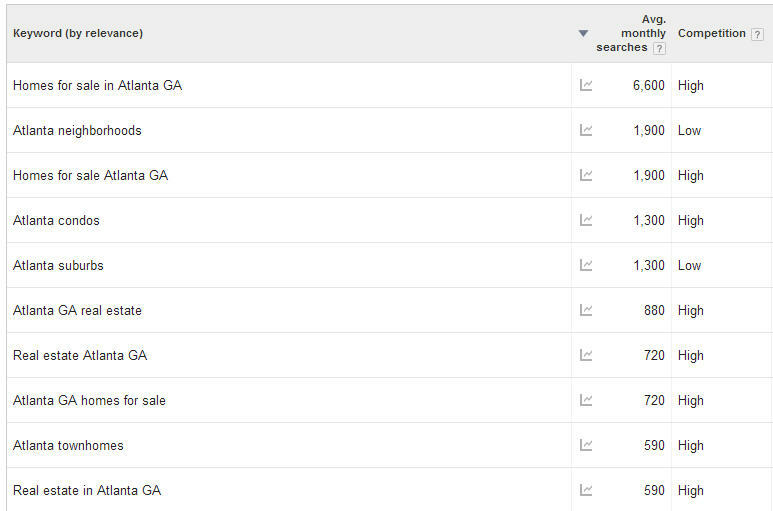 In Hank Miller’s territory of Atlanta, “Atlanta neighborhoods” ranks second only to “homes for sale in Atlanta GA” when analyzing the most popular real estate keyword phrases. I know this from experience because my website’s Neighborhoods page gets 3.5 times more page views in a month than my next highest viewed page! Four out of my top 10 most frequently viewed pages are specifically about local neighborhoods. And my No. 1 item of value — which I use to get people to sign up and give me their contact info — is by far my local relocation guide, which consolidates all the city, neighborhood and school data for my area into one handy report. When a consumer is moving to a large metro area like Atlanta or Houston, there are hundreds of suburbs and neighborhoods to choose from. Where should one even start?! An experienced real estate agent with local knowledge can find out what the consumer’s needs are and narrow the focus to the top two or three places to consider within minutes. It could take months for a person relocating to a new area to figure that all out by surfing the Internet. But if the consumer easily found your website when starting that process, then you have an incredible opportunity to build credibility and rapport with her until she hires you as her agent! The problem with our industry is that there are not enough real estate agents who are actually neighborhood experts — and maybe that was Hank’s real point. Demonstrating that you are the neighborhood expert on your website is one of the fastest ways to attract prospects to your website and then convert them into clients. It is the killer unique selling proposition that real estate agents have to offer and a hugely untapped opportunity for most agents (because hardly any agents offer in-depth neighborhood information on their websites!). Even new agents can level the playing field by researching and learning the local area and then writing and blogging about it. Become the local expert and you will become a successful agent. But how do you know which are the great neighborhoods in a new area? You need a local real estate expert! 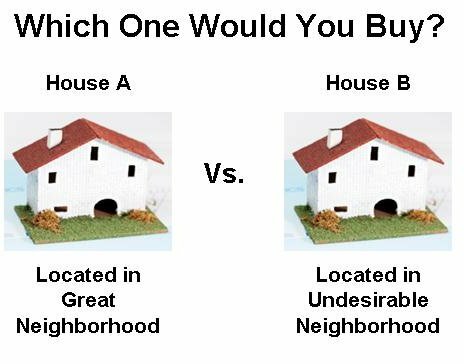 If you think about it, we don’t really sell houses — we sell the neighborhood.